As we know, The aurora is when the solar wind into the earth's magnetic field, the flash of light that people will see in the polar air. He was sang and praise by people because of its gorgeous and glorious countless. 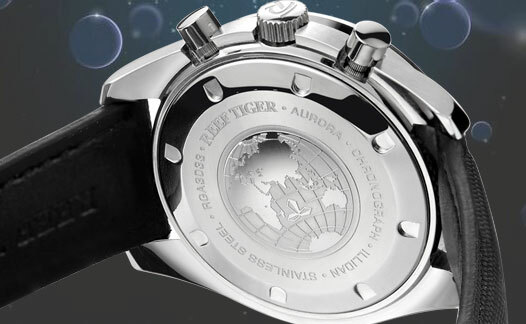 Reef Tiger Aurora series put new definition with movement to the watch. Aurora series express the explore of future and brand technology. The reference of human body engineering design, the dial with 44mm can bring suitable feeling to you. The watch has two small dial using for precise time control of seconds and time sharing. Calendar is located at six o’clock. Designers express the future imagine in the dial sculpture as well as the background. 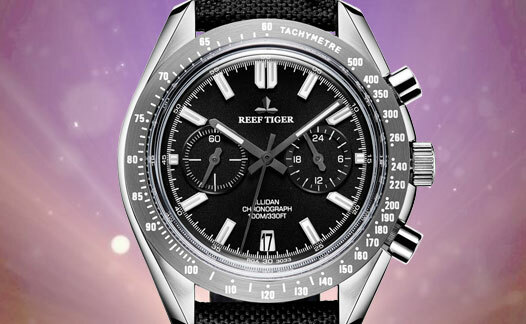 The watch has strong light and can help you see time clearly at night. The dial has four polygons hale time scale. See taste fine point. Adjustable time button ‘s logo is car wheel. chronoscope pushbutton’s foundation is car wheel grain. 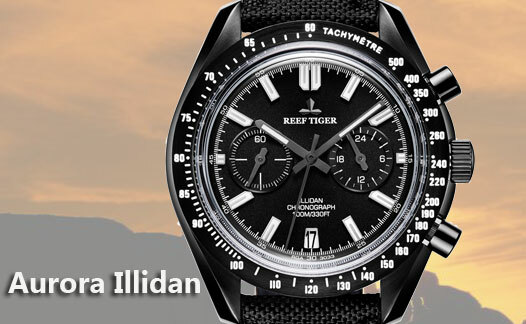 The design make the watch full of energy and go-power. 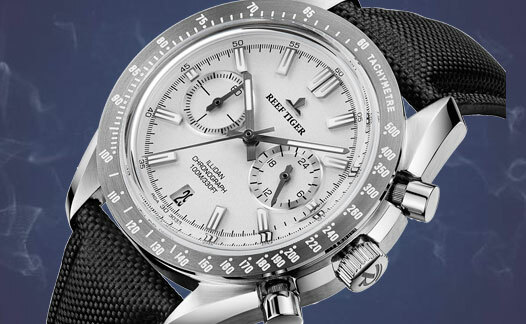 The use of the quartz chronograph movement make the watch become a navigating instrument. The watch is not only a accessories, but also express your unique grade.